Last week’s No. 4 Penn State dropped five spots with an 0-2 Big Ten opening weekend, the Nittany Lions first such start since 2000. Penn State fell to Minnesota (VolleyMob #8/AVCA #7) on Wednesday and was stunned by Ohio State on Sunday. That opened up a spot in the top five and Wisconsin claimed it, moving up from No. 6 to No. 5 after besting Ohio State and Rutgers. BYU, Stanford and Nebraska held pat in the top three positions, while Texas edged up to No. 4 from No. 5. The Cougars cruised past Pacific and also swept Saint Mary’s. The Cardinal swept Cal in their Pac-12 opener and added a four-set win over Arizona on Sunday. The Huskers handed previously undefeated Michigan its first loss on Wednesday and topped Michigan State in four sets. Two teams – Alabama and San Diego – dropped out of the top 25. Colorado and Arizona out of the Pac-12 grabbed the open spots, joining the poll at No. 23 and No. 24 respectively. 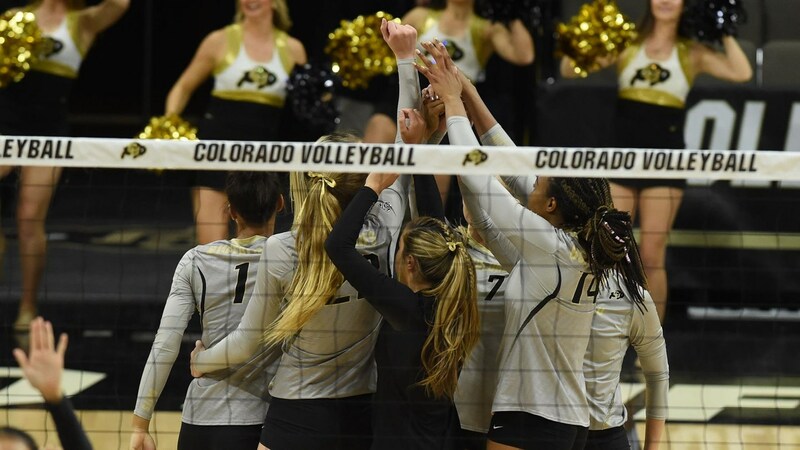 Colorado outlasted Utah on Wednesday and was edged by USC on Sunday. Arizona swept rival Arizona State on Thursday and took a set off of No. 2 Stanford on Sunday. Seven teams mentioned on only one ballot for a total of 18 combined points.